This week’s What The…? comes from the wonderful world of Reddit. 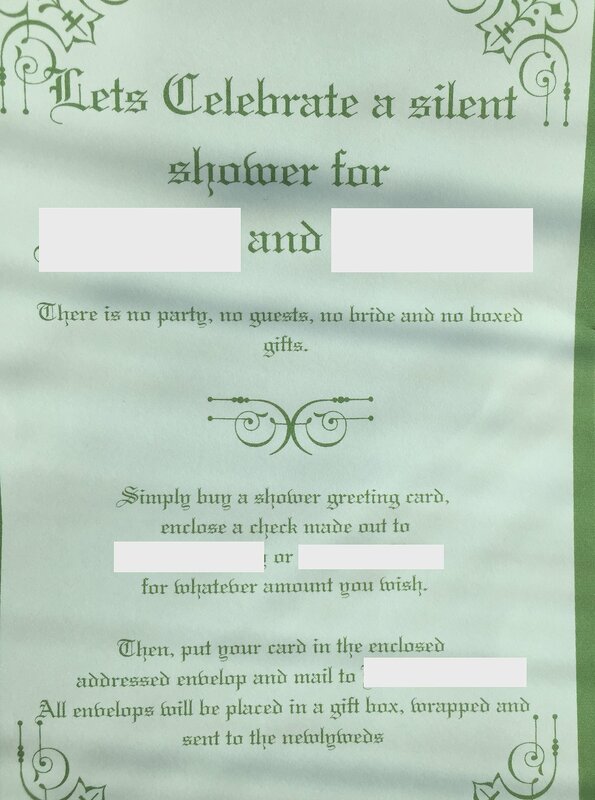 Redditor cbsteven posted this ‘silent shower’ invitation his friend received. In short, rather than rocking up to a traditional bridal shower with, you know, food and drink and stuff, this bride and groom want money. And don’t even think about getting fed in exchange for your cheque – put it in an ‘envelop’ and someone will box it up and gift it to them with the rest. Hopefully the newlyweds will cut a cheque for whomever wrote the invitation to go back to school and learn how to spell ‘envelope’… or at least use spellcheck.